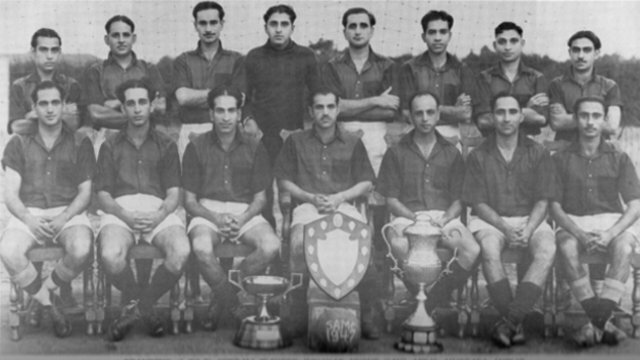 SITTING CHAIRS: Mahboob Ali; Inayat Khan; Haq Malik (capt); Mubarak Ali (vice capt.) Mohd. Afzal. 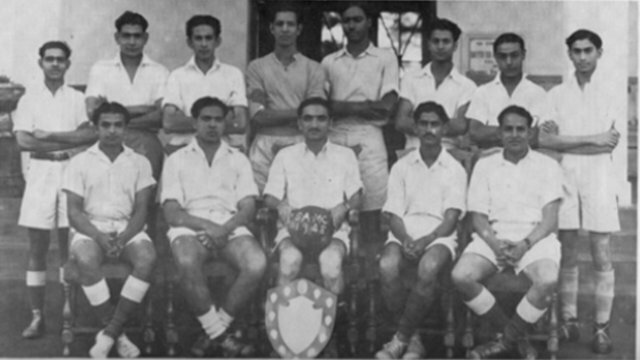 STANDING: (L to R) Rashid Beg, Yacoob, Aquil, Salau, Noor, Rashidlit, Payarali, Jinna. 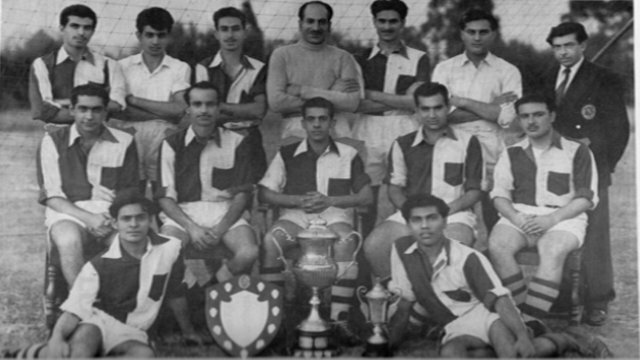 STANDING: (L to R) Sherali, Waheed, Innayat, Yusuf, Gani, Afzal, Mustafa, Anwar. SITTING: (L to R) Mohamed, Naqi, Allaudin, Shamas (Vice capt), Sheero (Capt. ), Latif, Mukhtar.